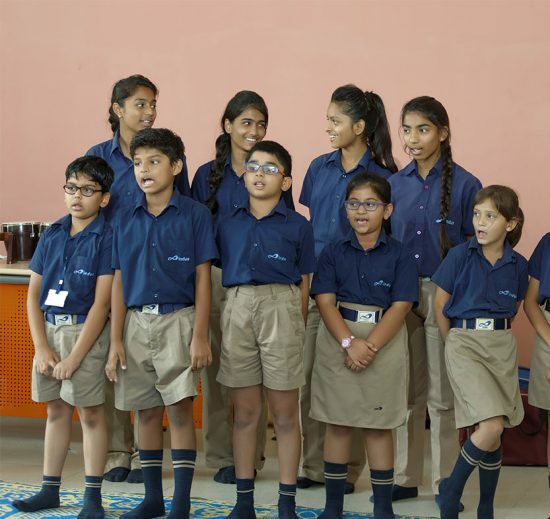 At Indus World School, we believe that the school infrastructure and facilities transcend the building and sports facilities. We have a variety of new age – digital and technology – oriented infrastructure and facilities. Indus World School believes that information and communication technology is a key enabler for teaching and learning in a modern and progressive curriculum. We follow an integrated approach in ICT. We appreciate that technology is no longer a part of studies, but students work with technology. Growth in technology means facilities of the School must evolve and match up the contemporary and modern needs. We create ICT facilities that cater to specific needs of the School. This ranges from deployment of a few PCs to implementation, management and support of an ICT requirement. We deploy the best interactive whiteboards, projectors and speakers, e-books, audio-visual aids for library and computers. Further, we have used tablets and other modern computing devices to enable students leverage technology as a tool across all areas of curriculum. The state-of-the-art hardware and network facilities at the School help in the enablement of wireless campus making its educational institutions a great place for teaching and learning. Also, care is taken to provide the best devices for printing and facsimile. Audio Visual facilities at the School do wonders inside the classroom as well as outside in assembly and other areas with carefully installed Audio/Video/Lighting facilities. The Audio Visual facilities enhance the engagement levels of students by captivating their imaginations and stimulating their interest in learning. The School provides desktops, notebooks or tablet devices. The School ensures that the users of such devices have the most up-to-date knowledge on all the latest technology and innovations. 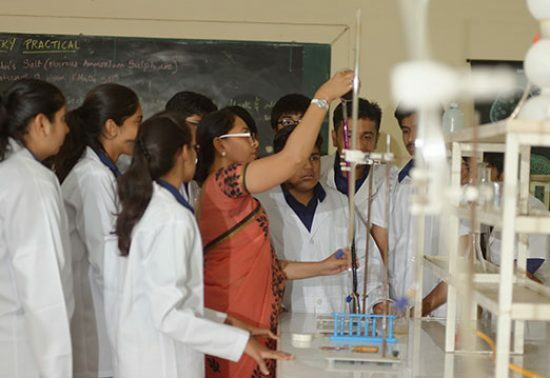 STEM (Science, Technology, Engineering and Math) labs and spaces are unique areas for the Indus World School. Our STEM Lab equips all our students to achieve rock solid learning where our students get ready for an interdependent and fast-changing world through a STEM-based education focussed on innovative learning. The STEM lab equips our students with competence and skills they require to do well in the careers of tomorrow – ranging from technology-led skills to problem-solving and the 4 Cs – critical thinking, creativity, communication and collaboration.